Pip Wilson bhp: 900 #youth #worker jobs had been axed since 20l6 and more than £l3m sliced from youth services across the #UK. 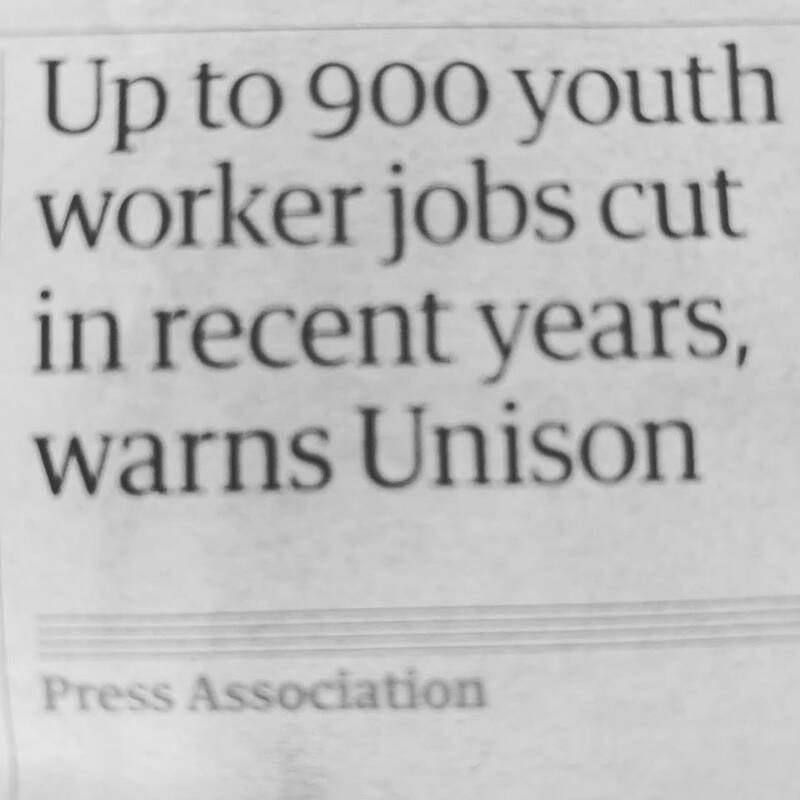 900 #youth #worker jobs had been axed since 20l6 and more than £l3m sliced from youth services across the #UK. ...... as a Youth Worker this cuts to the bone. ....... Young people's futures are being put at risk because of cuts in youth services, including hundreds of job losses, a new report warns. Unison said almost 900 #youth #worker jobs had been axed since 20l6 and more than £l3m sliced from youth services across the #UK. At least #l6o youth centres had closed in the past few years, leaving the service at "breaking point", said the union. Unison said a freedom ofinformation request to local authorities and research among youth workers suggested some 760 youth centres had been closed since 2012.